Description: Beautiful river retreat! This home sets back from the street very private setting. Huge porch and multi level decking provide awesome views of the river. Other features of this home include; formal dining room with gas fireplace, massive living room with vaulted ceiling, kitchen with all new appliances summer 2017 & breakfast nook with bay window overlooking the river. Reverse osmosis system. 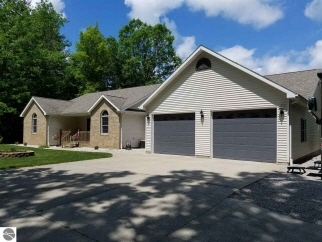 Main floor office with hardwood floors and vaulted ceiling, huge master bedroom with walk-in closets and private bath plus french doors leading to a bonus room overlooking the river, 24 x 32 finished workshop. 2 full baths & 2 half baths. This home is worth the look, you won't be disappointed.